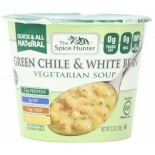 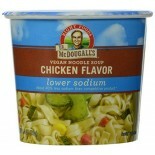 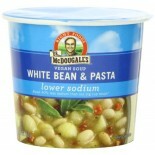 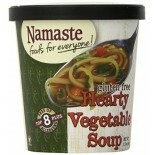 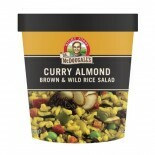 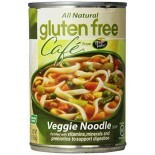 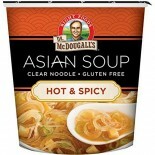 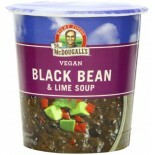 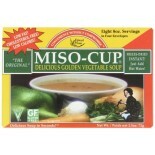 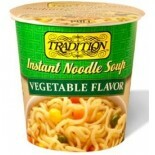 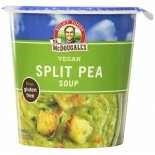 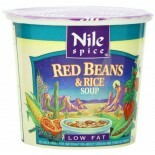 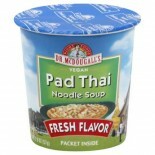 Attributes: Dairy Free, Foodservice (Single Serve), Gluten Free, Natural or Organic Ingredients, Vegan.. 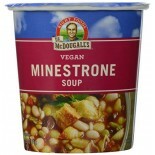 Attributes: Dairy Free, Foodservice (Single Serve), Natural or Organic Ingredients, VeganIngredients: Pre-cooked Beans, (Red, Navy, Lentils), Dehydrated Vegetables (Tomatoes, Carrots, Cabbage, Green Beans, Onion, Celery), Pasta (100% Durum Wheat Semolina), Brown Rice, Yeast Extract, Sea Salt, Natura.. 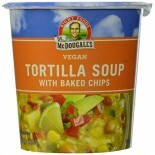 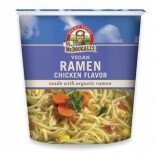 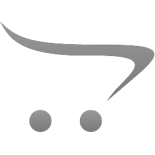 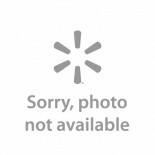 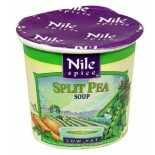 Attributes: Dairy Free, Foodservice (Single Serve), Natural or Organic Ingredients, Vegan.. 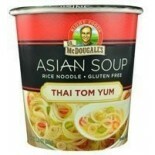 Attributes: Dairy Free, Gluten Free, Natural or Organic Ingredients, Vegan, Wheat FreeIngredients: Rice Noodles (Rice, Bean Starch, Tapioca Starch), Vegetables (Garlic, Shallots, White Onion, Green (Onion), Natural Flavors (Non-Animal Source), Yeast Extract, Soybean, Organic Evaporated Cane Juice, S.. 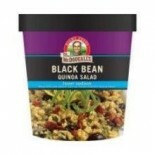 Attributes: Gluten Free, Natural or Organic Ingredients, Vegan, Wheat FreeIngredients: Pre-cooked black beans, long grain white rice, vegetables* (onion, red bell peppers, tomato, chili peppers, garlic, cilantro), long grain brown rice, potato starch, natural flavors, yeast extract, sea salt, spices.. 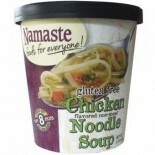 Attributes: Dairy Free, Foodservice (Single Serve), Low Salt / Low Sodium / Reduced Sodium, Natural or Organic Ingredients, VeganIngredients: Pasta Noodles (Semolina Durum Wheat), Vegetables* (Onions, Carrot, Corn, Garlic, Celery), Potato Starch, Yeast Extract, Natural Flavors (Non-Animal Source), S.. 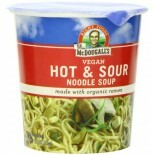 Attributes: Dairy Free, Foodservice (Single Serve), Low Salt / Low Sodium / Reduced Sodium, Natural or Organic Ingredients, VeganIngredients: Pasta Noodles (Semolina Durum Wheat), Vegetables* (White & Green Onions, Garlic), Spices (Sesame, Ginger, Black & White Pepper), Potato Starch, Yeast Extract,.. 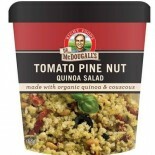 Attributes: Dairy Free, Foodservice (Single Serve), Low Salt / Low Sodium / Reduced Sodium, Natural or Organic Ingredients, VeganIngredients: Whole Wheat Durum Semolina Couscous, Lentils* Vegetables* (Onion Tomato, Garlic, Carrot, Yeast Extract, Natural Flavors (Non-Animal Source), Pineapple*, Spice.. 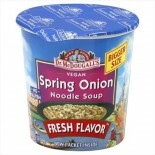 Attributes: Dairy Free, Foodservice (Single Serve), Gluten Free, Low Salt / Low Sodium / Reduced Sodium, Natural or Organic Ingredients, VeganIngredients: Split Peas*, Vegetables* (Onions, Carrot, Potato, Garlic, Celery, Parsley), Potato Starch, Natural Flavors (Non-Animal Source), Yeast Extract, Or.. 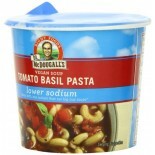 Attributes: Dairy Free, Foodservice (Single Serve), Low Salt / Low Sodium / Reduced Sodium, Natural or Organic Ingredients, VeganIngredients: Pasta (Semolina From Durum Wheat), Vegetables *(Tomato, Garlic, Shallots, Onion, Carrot). 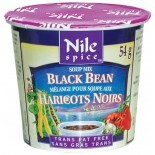 Red Beans, Yeast Extract, Herbs *(Basil, Oregano, Thyme, Bay Leaf), .. 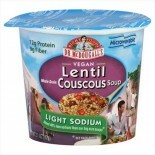 Attributes: Dairy Free, Foodservice (Single Serve), Low Salt / Low Sodium / Reduced Sodium, Natural or Organic Ingredients, VeganIngredients: White Beans, Pasta, (Semolina Durum Wheat), Vegetables* (Tomato, Onion, Carrot, Garlic, Celery), Potato Starch, Yeast Extract, Natural Flavors (Non-Animal Sou.. 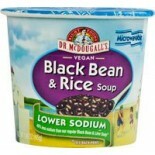 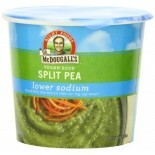 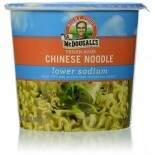 Attributes: Low Salt / Low Sodium / Reduced Sodium, Natural or Organic Ingredients, Non-GMO Project Verified , Vegan.. 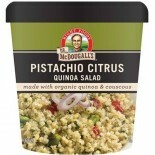 Attributes: Natural or Organic Ingredients, Non-GMO Project VerifiedIngredients: Organic quinoa, organic whole wheat couscous, dehydrated vegetables (bell peppers, onion, shallot, garlic, cilantro, parsley), nuts (pistachio, almond), natural flavors (yeast extract, maltodextrin, soy sauce [wheat, so.. 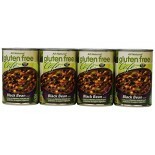 Attributes: Dairy Free, Gluten Free, Low Carb, Low Fat, Natural or Organic Ingredients, Vegan, Wheat Free, Yeast FreeIngredients: Soybeans, cultured rice, sea salt, onions, parsley.Nutritions: Calcium(2), Calories(30), Cholesterol(0), Dietaryfiber(.. 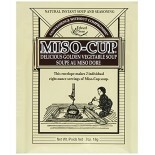 Attributes: Natural or Organic IngredientsIngredients: Organic Miso (Organic Soybeans, Cultured Organic Rice, Sea Salt, Yeast), Water, Kombu Seaweed Extract, Salt, Shiitake Mushroom Extract, Onion, Yeast Extract, Alcohol. 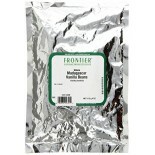 Tofu & Vegetable Packet: Freeze-Dried Tofu (Water, Soybeans, Calcium Sulfate.. 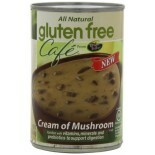 Attributes: Dairy Free, Gluten Free, Kosher, Low Carb, Low Fat, Natural or Organic Ingredients, Vegan, Wheat Free, Yeast FreeIngredients: Soybeans, Cultured Rice, Sea Salt, Onions, Parsley.Nutritions: Calcium(2), Calories(30), Cholesterol(0), Dietaryfiber(.. 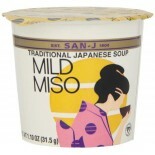 Attributes: Dairy Free, Gluten Free, Low Carb, Low Fat, Low Salt / Low Sodium / Reduced Sodium, Natural or Organic Ingredients, Wheat FreeIngredients: Freeze-Dried Organic Miso (Organic Soybeans, Cultured Rice, Sea Salt), Freeze-Dried Organic Tofu (Water, Organic Soybeans, Calcium Sulfate, Nigari “.. 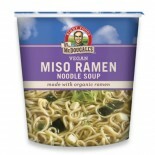 Attributes: Dairy Free, Gluten Free, Kosher, Low Carb, Natural or Organic Ingredients, Vegan, Wheat Free, Yeast FreeIngredients: Soybeans, Cultured Rice, Sea Salt, Onions, Wakame Seaweed.Nutritions: Calcium(0), Calories(30), Cholesterol(0), Dietaryfiber(.. 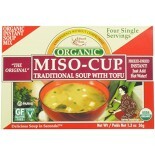 Attributes: Dairy Free, Gluten Free, Kosher, Low Fat, Low Salt / Low Sodium / Reduced Sodium, Natural or Organic Ingredients, Vegan, Wheat Free, Yeast FreeIngredients: Freeze-Dried Organic Miso (Organic Soybeans, Cultured Organic Rice, Sea Salt), Freeze-Dried Organic Tofu (Water, Organic Soybeans, .. 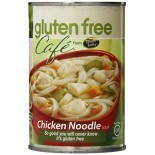 Attributes: Gluten Free, Natural or Organic IngredientsIngredients: Water, Onions, Rice Noodles (Rice Flour), Cooked Beef And Corn Starch Product (Includes Beef, Water, Corn Starch, Sea Salt), Green Beans, Tomatoes, Beef Stock (Includes Sea Salt, Flavor), Enriched Rice Flour (Contains Calcium Phosph.. 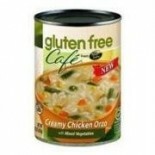 Attributes: Gluten Free, Natural or Organic IngredientsIngredients: Water, Cooked White Meat Chicken, Carrots, Corn, Orzo Rice Pasta (Rice Flour, Egg White, Xanthan Gum, Rice Bran Extract), Green Beans, Peas, Rice Starch, Enriched Rice Flour (Contains Calcium Phosphate, Niacinamide, Iron [Ferric Ort.. 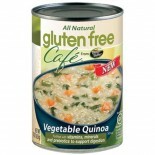 Attributes: Gluten Free, Natural or Organic IngredientsIngredients: Water, Red Potatoes, Onions, Carrots, Green Beans, Spinach, Whole Grain Quinoa, Cream (Milk), Rice Starch, Enriched Rice Flour (Contains Calcium Phosphate, Niacinamide, Iron [Ferric Orthophosphate], Riboflavin, Thiamine Mononitrate,.. 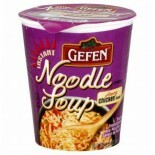 Attributes: Foodservice (Single Serve), Low Fat, Natural or Organic IngredientsIngredients: Split peas, dehydrated vegetables (potato, onions, carrots, celery, garlic), autolyzed yeast extract, salt, spices, natural flavors, corn starch, citric acid.Nutritions: Calcium(2), Calories(200), Cholesterol.. 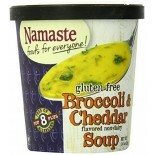 Attributes: Dairy Free, Gluten Free, Natural or Organic Ingredients, Specialty Product, Vegan, Wheat Free, Yeast Free.. 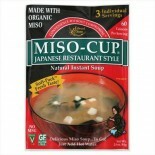 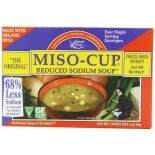 Attributes: Kosher, Lactose Free, Low Carb, Natural or Organic Ingredients, Specialty ProductIngredients: San-J rice miso (water, whole soybeans, rice salt), kombu extract (seaweed, barely malt), water, alcohol, salt, shitake mushroom powder, fu (wheat gluten), scallions and tofu (soybean curd).Nutr.. 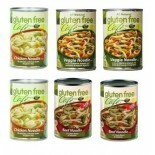 Attributes: Gluten Free, Low Salt / Low Sodium / Reduced Sodium, Natural or Organic IngredientsIngredients: White beans, dried vegetables (potatoes [potatoes, citric acid], garlic, onions, red bell peppers, green bell peppers), vegetarian chicken flavor (yeast extract, natural flavor), green Chile p..